The RapiDeploy portable crusher from Eagle Crusher has built-in, retractable conveyors, and a hydraulic lift and leveling system to enable quick set-up and tear-down. Whether it was on display at CONEXPO-CON/AGG in March or released in the past few months in preparation for season startup, new technology and equipment has landed in the asphalt marketplace to enhance your mix-making mojo. AsphaltPro showcases new products and services in the product gallery in each edition of the magazine; this month’s focus is on equipment to excite the asphalt producer. Next month will highlight equipment for paving and pavement maintenance contractors. We’ll dive in with a mini-roundup from Astec out of Chattanooga, Tennessee. The overall Astec family had more than 30 new products on display at the huge construction expo in Las Vegas, but there are at least three new items that asphalt producers will want to know more about to get us going here. The SiloBot features magnetic wheels that cling to interior silo walls while the unit’s camera feeds data wirelessly to the operator. Ever since my sneak peek of the Astec SiloBot™ last spring, the theme song from the 1986 romantic comedy Short Circuit goes through my brain when I see this clever robotic inspection device. Charles Simpson, lead product development engineer for Astec, manned the wall where the SiloBot showed off its magnetic personality during CONEXPO-CON/AGG 2017. The company introduced the SiloBot inspection service as a new hi-tech tool that the Astec Inc. parts department will use to do visual inspection and metal thickness testing inside hot mix storage silos. The remote control capabilities of the SiloBot inspection device keep workers out of the confined space of the silos and out of harm’s way. The inspection record provided to the customer will include a metal thickness map, a video and photos of the inside of each silo. Engineering evaluations and recommendations, based on the inspection findings, will be provided by Astec engineers. For more information, contact Astec Parts at (800) 251-6042. Astec also supplied information on its RAP Pre-Dryer System. 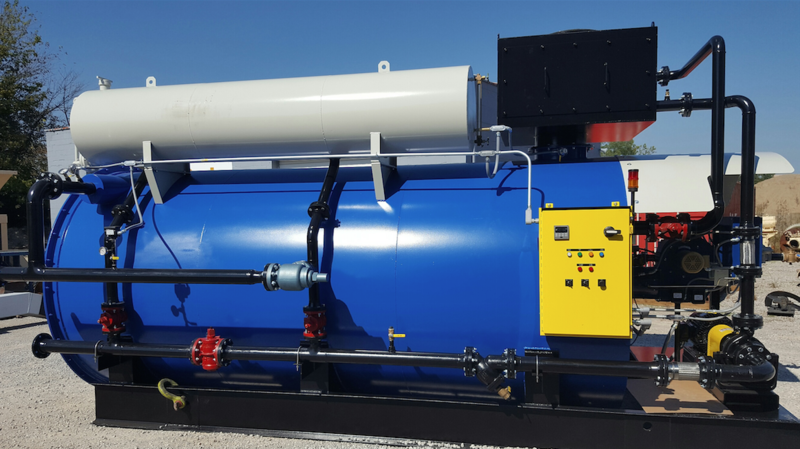 This system expects to obtain asphalt pavement mixes of up to 70 to 80 percent RAP and/or RAS by conditioning the recycled material using a pre-dryer. The Astec RAP Pre-dryer uses the excess heat available after superheating the virgin aggregates that would otherwise be wasted through the stack. This “soft” heat comes in at a relatively low temperature of 300 to 600 degrees F, and raises the temperature of the recycled material from ambient to 150 to 180 degrees F, thus decreasing the water content by 1.5 to 2 percent, according to the manufacturer. From there, the material exits the pre-dryer into the outer shell of the Double Barrel®, where it is mixed with the superheated virgin aggregate to remove the remaining moisture from the recycle and to bring it to mixing temperature in a rarefied oxygen atmosphere. Finally, the mix is discharged into a twin-shaft pugmill where it gets mixed with the liquid AC and any other admixtures. For more information, contact Astec Inc. at (423) 867-4210. Astec also showcased the Intelli-PAC™ mix blending enhancement system, which gathers real-time moisture and AC content information to make adjustments “on-the-fly” to maximize plant efficiency. The system uses a series of sensors to measure real-time material conditions. By having real-time data fed into the control system, the computer can respond to fluctuations in conditions immediately, according to the manufacturer. For example, the cold feed bin sensors capture and report water content to the control system, which dictates how much fuel is required to dry the aggregate and bring it to temperature, as well as the AC required for mix specifications. Other sensors capture both water content of the recycle material as well as how much binder it contains. This data is used to determine how much liquid AC is necessary for the mix. Then moisture data combined with belt scale measurements enable the plant computer to calculate the necessary fuel burn rate to dry the material and bring it to the desired mix temperature. For more information, contact Astec at (423) 867-4210. 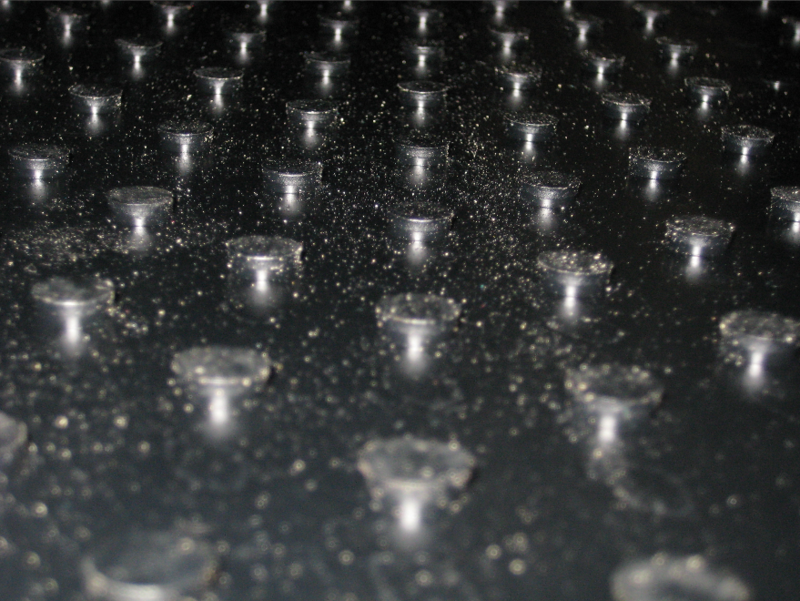 Select ContiCleat from Continental is a conveyor belt material designed for steep inclines. In 17 different profile options, 14 of which are made in the United States, Continental Select cleated belts are used for conveying materials such as stone, sand, gravel, various wood products and a multitude of recycling products, by taking advantage of the many custom profiles and cleat designs that are available. “In a one-inch cleat design with four different configurations, ContiCleat can convey products demanding up to a 45-degree incline,” Marchant said. Profile options available from the ContiCleat Select portfolio include Wave Grip, Wave Grip Plus, Bucket Grip, Bucket Grip II, Signal, Backbone, Backbone Plus, Flux, Ultra Shift, Ultra Shift II, Master Grip, Crest Grip, Quadgrip, Summit, Pointer, Diamond Grip I and Diamond Grip II. 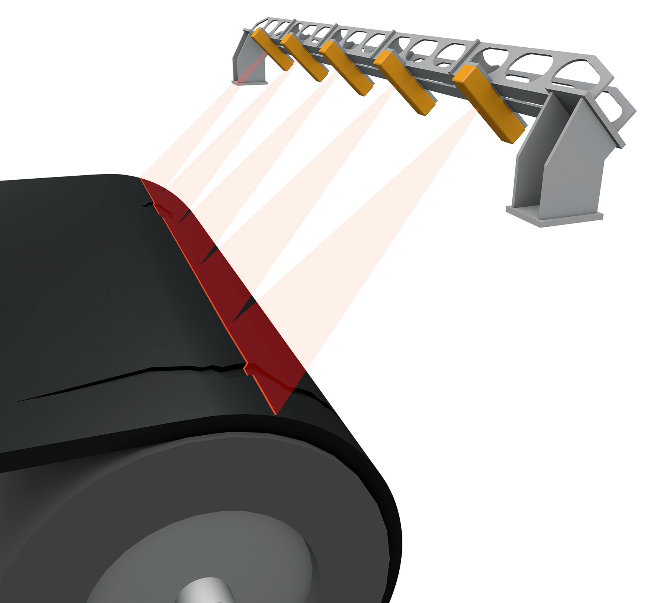 The ContiAlert conveyor belt monitoring process from Continental exposes a red bonding layer below the top cover when it’s time to change the belt, and before the carcass is exposed. Beyond gripping, the Continental team offers some handy technology for your conveyor belt needs. During CONEXPO-CON/AGG, the company had on display its ContiAlert, which is a unique conveyor belt monitoring process that allows users to see belt wear in real time. ContiAlert is available in the abrasion-resistant lineup of ContiTech Select Conveyor Belt specifications and compounds: Belt Specs – Plylon Plus 250/2, 275/3, 500/4 and 600/3 with a minimum 3/16-inch by 1/16-inch to a maximum of 3/8-inch by 1/8-inch covers; Abrasion-resistant compound Specs – Defender Plus, Stacker, Survivor and Survivor Plus. For more information, visit www.contitech.us. 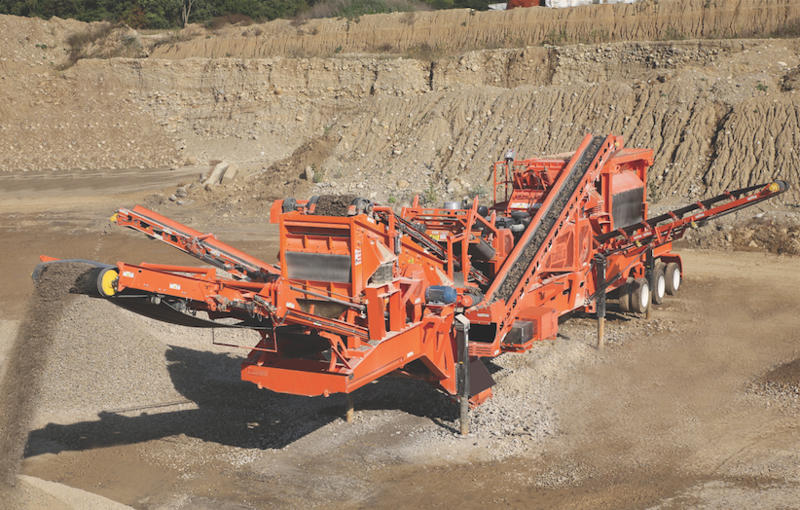 The team from Eagle Crusher, Galion, Ohio, introduced the RapiDeploy portable plant with built-in, retractable conveyors that can crush, screen, separate and stockpile—all in one pull. 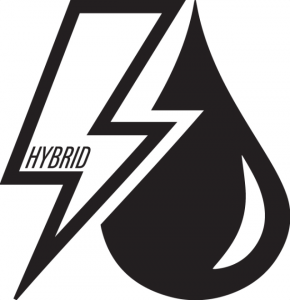 It was specifically designed to reduce mobilization costs and expensive set-up and tear-down time for asphalt/aggregate producers and concrete recyclers, while offering advantages compared to track plants. First, RapiDeploy features closed-circuit crushing, screening and retractable conveyors on one chassis. It offers two product screens with a third reliever deck to allow increased productivity while producing two cubical spec products. The top- and second-deck retained material is returned to the crusher for further processing. Next, RapiDeploy features high discharge heights on all three of its retractable conveyors, allowing for easy truck-loading of material. For example, the fines discharge conveyor height is up to 15 feet, 3 inches; the side discharge conveyor height is up to 13 feet, 4 inches; and the optional grizzly discharge conveyor height is up to 13 feet, 7 inches. Finally, RapiDeploy is easily serviced without sacrificing portability. This is due to the plant’s open design, which allows for easy parts access and serviceability. It features the UltraMax® impactor with a 40-inch x 33-inch rotor. The feed hopper capacity is 9 cubic yards, or 12.2 tons. 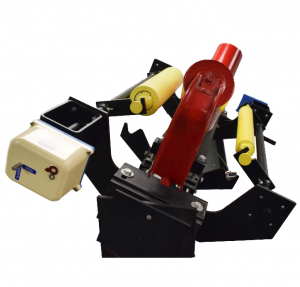 For more information, contact Eagle Crusher at (800) 253-2453 or visit www.eaglecrusher.com. At CONEXPO-CON/AGG, the team from Gencor, based in Orlando, showed its Ultralogiks® total plant control system to attendees. The system is a totally integrated automation package that manages and monitors all plant control functions with a windows-based environment and graphical user interface. The hardware is an advanced PLC control platform that performs all the plant operations, including both blending and loadout functions. The graphical user interface is PC based, using a high-speed IBM compatible computer with a large capacity hard drive. A backup computer and redundant hard drive assure security for data and operating system in the event of a failure of the PC or the PLC, according to the manufacturer. 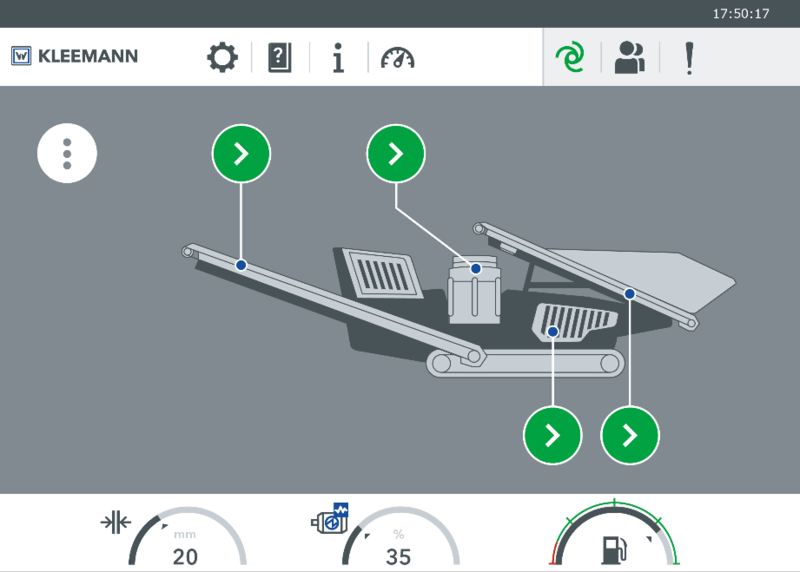 The Gencor Ultralogiks plant control systems’ main operating screens display a logical presentation of operating data through the use of segregated screen sections. The upper section displays items at the point of liquid asphalt injection; the center section offers selectable views of motors, maintenance or event log information as well as configuration settings and calibration screens. Detailed user screens for each equipment component are displayed by simply clicking on the equipment image. For more information, contact Gencor at (407) 290-6000. 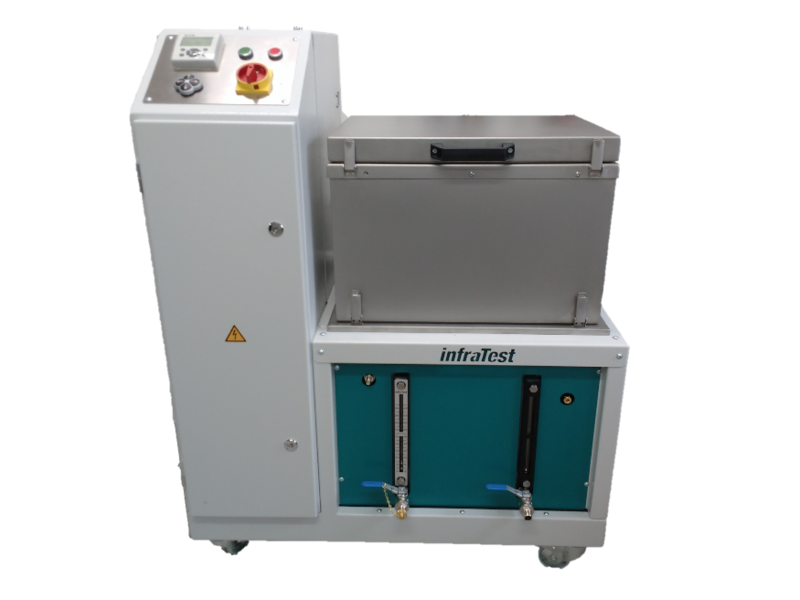 The Pyro-Clean Alternative from infraTest gets testing glassware cleaned of AC in 30 to 45 minutes. Interchangeable inserts fit up to six round-bottom flasks or six RTFOT test cups to be cleaned simultaneously. Sprinkler system and solvent steam are used for the washing process. A vacuum system assists the fast drying of clean parts as well as the solvent distillation. The bottom part of the wash container is equipped with a valve to remove the bitumen into an evaporate flask whilst the solvent is recovered in the clean solvent tank. Variable run-times are possible, but the usual run-time is 30 to 45 minutes. For more information, contact infraTest USA at (888) 359-7310 or info@infratestusa.com. The Titan Series portable vehicle scales are designed for use in remote operations and feature an electrochemically polished stainless steel canister to eliminate corrosive effects of harsh environments. Portable vehicle scales are frequently used for remote operations and for variable-demand operations, where the scale may be used during an active period and then removed or redeployed. They are a must-have for use in the event of equipment failure. Portable vehicle scales are also useful during a facility upgrade process, to ensure that existing facilities can remain online during construction. 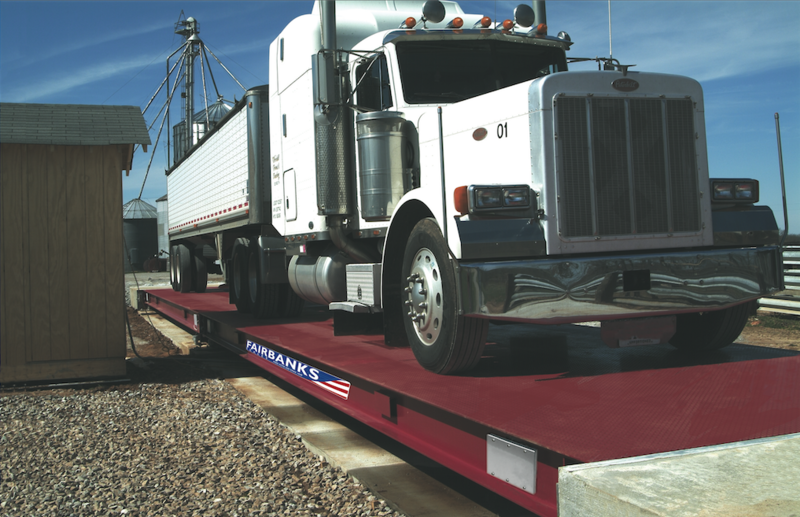 Available in sizes specifically for mobile operations, the newly updated Titan Series portable vehicle scales are designed to be easily shipped, installed and moved to another location. With up to 150-ton gross capacity, the Titan PV scale works in temporary locations for jobs that last only a few months. It is shipped completely self-contained in a subframe constructed of structural steel. The scale can also be removed from the sub-frame and installed in a permanent foundation. The Titan PV is equipped with Intalogix® technology, a system that contains two different points of complete electrical isolation between the scale and the scale instrument, providing surge and lightning protection. Intalogix also transmits load cell information digitally, which improves resolution and allows for 10-pound increments. The Titan PV scales feature a protected load cell with a 100,000-pound capacity and 300 percent overload protection. The new load cell design includes a 100 percent stainless steel rocker column to eliminate weighing errors caused by off-center loading. The scales come in lengths of 35 feet, 60 feet, 70 feet and 80 feet. The new design now accommodates both 10-foot and 11-foot wide scales. The Titan PV scale has self-diagnostic capabilities to help prevent downtime by identifying load cell problems before they occur. The instrumentation can identify which specific load cell has failed with a warning to the operator. For more information, contact Fairbanks Scales at (800) 451-4107. With the SPECTIVE control concept, all plant functions for the crushing plant should be recognizable at a glance. The performance of crushing plants is becoming more and more complex, even as operation must be kept as simple as possible. With SPECTIVE, Kleemann introduces a new, intuitive crushing plant control concept at CONEXPO-CON/AGG 2017. The Spective control concept is easy to understand, and supports the operator in his work, as it’s simple to use, according to the manufacturer. The user is supported right from the beginning with the operation of the touch panel. He or she is guided step-by-step through the startup process, then the system starts. On the start screen the operator sees a diagram of the entire plant with its adjustable functions. The desired function is selected and the operator is guided through all necessary steps with clear instructions. If a fault occurs during machine operation, a fault diagnosis is shown on the display. Downtimes are reduced with fault localization, a description of the fault, and tips on its elimination. The 12-inch touch panel is not susceptible to dust and is easy to read with the adjustable light and contrast settings, even in strong sunlight. It responds to the touch of fingers, tools, pens or gloves. With clear symbols, all plants functions are recognizable at a glance. Similar to a smart phone, the operator is guided intuitively through the control system. Data relating to machine operation can be retrieved via the control system, and diesel and lube oil fill levels, for example, can be viewed in the plant cockpit. Automatic documentation of the operating data also is provided, permitting evaluation of plant efficiency. Spective is available initially for the MOBICONE MCO 11 PRO and the latest impact crushers in the MOBIREX MR EVO2 series. For more information, contact Brodie Hutchins of Wirtgen America at (615) 501-0600. The hybrid technology from KPI-JCI/Astec Mobile Screens is available on the GT205 multi-frequency screen and the GT440 horizontal shaft impactor. Kolberg-Pioneer (KPI), Johnson Crushers International (JCI) and Astec Mobile Screens premiered its hybrid technology at ConExpo 2017. The new hybrid technology was released on the GT205 multi-frequency screen and the GT440 horizontal shaft impactor. The two updated pieces of equipment were showcased at CONEXPO 2017, held in Las Vegas, Nevada, March 7 through 11. For more information, visit kpijci.com/dealer-locator to find a local dealer. The new TDC-GPX2 high-performance time-to-digital converter from AMS/Acam delivers up to 10-picosecond resolution, with two- or four-channel modes. 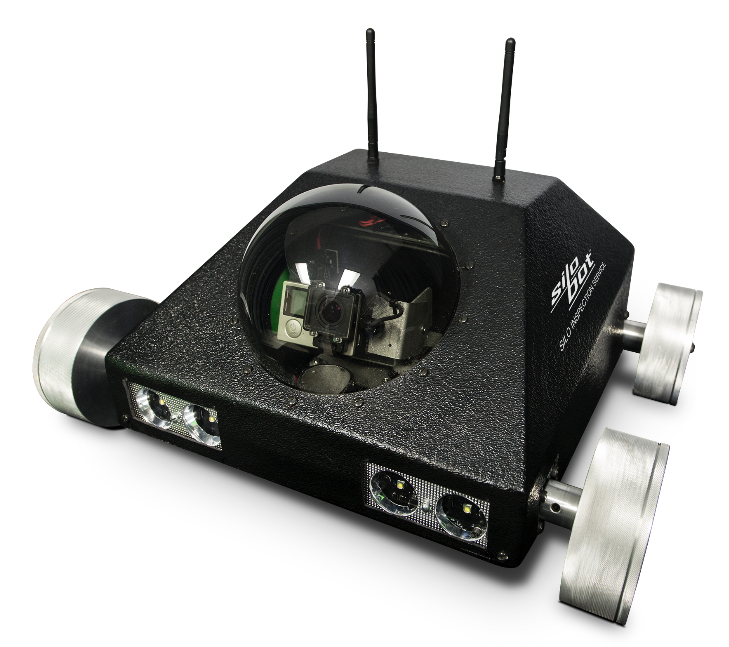 The high-performance device delivers a high update rate – up to 70 mega-samples per second – for drones, radar, LIDAR, PET scanner, automatic test equipment (ATE), photon counting and spectroscopy applications. The TDC-GPX2 has low power consumption and is configured in a small 9 mm x 9 mm QFN64 package. Precision Measurement Technologies (PMT) based in Florida, is a technology center with on-site experts in AMS products, including the Acam family that features high-resolution time-to-digital converters. The PMT Technology Center develops applications for standard AMS products, and assists customers on proof-of-concept designs, evaluation systems and register settings to optimize production. “Applications that require a high-performance converter to acquire, process and deliver data are already using the TDC-GPX2,” Rob Matthes, President of PMT, said. For more information, contact PMT at (727) 532-6144 or visit http://www.pmt-fl.com. The Burke new model HCH-5.0 helical coiled hot oil heater from Reliable Asphalt Products is skid-mounted. Reliable Asphalt Products, Shelbyville, Kentucky, offers the Burke 5.0 helical coil hot oil heater with a capacity of 5 million BTU output. The heater is built to maintain heat for large terminal storage, according to the manufacturer. It includes a full modulating dual-fired burner, fired by #2 fuel oil or natural gas. The circulating pump circulates thermal fluid through the helical coils and a coupling guard protects the shaft, couple and motor. All connections are flanged. The expansion tank has a 400-gallon capacity and is pre-installed, but removable. The control panel includes a temperature indicating control, a flame safeguard programmer with flame detection and proof of ignition, a high limit temperature safety switch, and a 24-hour time clock. The electrical control panel is NEMA 4 rated for all weather conditions. The shell is fabricated from 3/8-inch steel plate. The exhaust stack is bolted to a flanged port and hinged for shipping. For more information, contact Reliable Asphalt Products at (502) 647-1592. It’s important to meter materials, thus Stansteel created the Accu-Track® Total Plant Control with Quality Assurance™ and the Accu-Shear® to meter, weigh and blend all additives precisely. The goal of any asphalt plant electronic control is to make an absolute quality product that can meet any testing or end result requirements specified by the asphalt producer or governing agency. Stansteel of Louisville, Kentucky, has developed a system called the Accu-Track® Total Plant Control—with Quality AssuranceÔ (Patent Pending). The basic principle behind this system is to continuously monitor any and all points on the plant that contribute to the metering, weighing and blending of ingredients. Not only are individual aggregates, RAP/RAS, and liquid asphalt analyzed, but also smaller proportioned materials such as metered dust, hydrated lime, and liquid additives like water and Evotherm for foaming. The Accu-Track total plant control features a Closed LoopÔ process that requires a feedback signal from each material conveying component. This provides the system instant verification the equipment is operating as designed and that each key ingredient is fed within the specified range. At any time, audible and visual alarm messages may alert the operator that a material flow is out of range, potentially initiating an automatic plant shutdown. To further enhance the system, hundreds of critical plant interlocks from the top of the silos to the bottom of the baghouse to the last cold feed bin are monitored and timed to assist in making quality mix at any designed plant production rate. The system is customizable, which allows for future modifications due to new mix requirements or changing state and provincial specifications. As an example, there recently has been a dramatic increase in the use of liquid rejuvenators to help condition old RAP and RAS being added to the mix. The liquid rejuvenators work best when metered exactly to their proper proportions and combined in a colloidal form with the liquid asphalt to produce a blend that consistently conditions the RAP and RAS material. The same care and custom design goes into other Stansteel equipment such as superior warm mix foaming with the Accu-Shear®, which was developed to assist the industry in becoming a leading provider of quality recycle materials. For more information, contact Stansteel at 1-800-826-0223. The dual test weights from Systems Equipment are used at the conveyor belt to test the weight of material, using the full range of the load cell. SYSTEMS Equipment has launched a new concept in remotely-controlled test weights, improving accuracy by using the full range of the load cell. 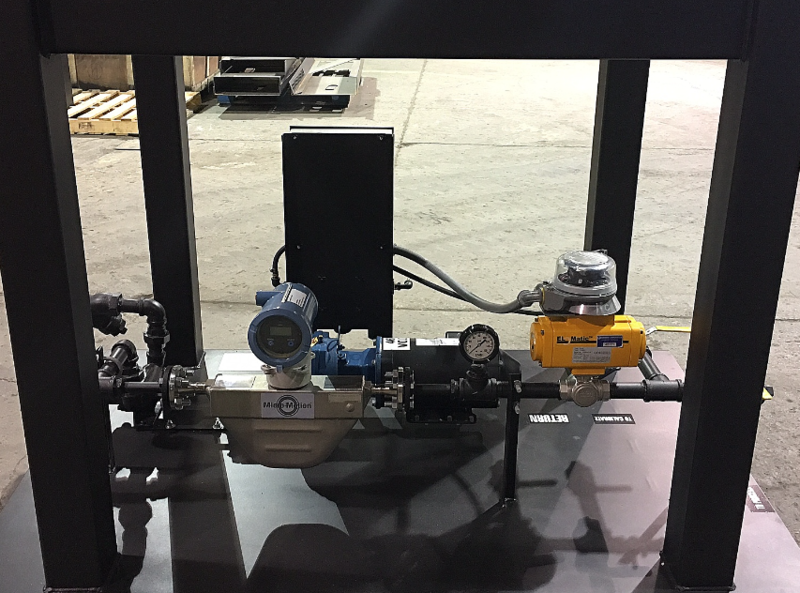 According to Mitch Duncklee, lead software engineer for SYSTEMS Equipment, operators can now know if the conveyor scale is running “as calibrated” within minutes. And, he says, they can do this without moving material or involving a loader or truck, making this option safer and more convenient than in the past. 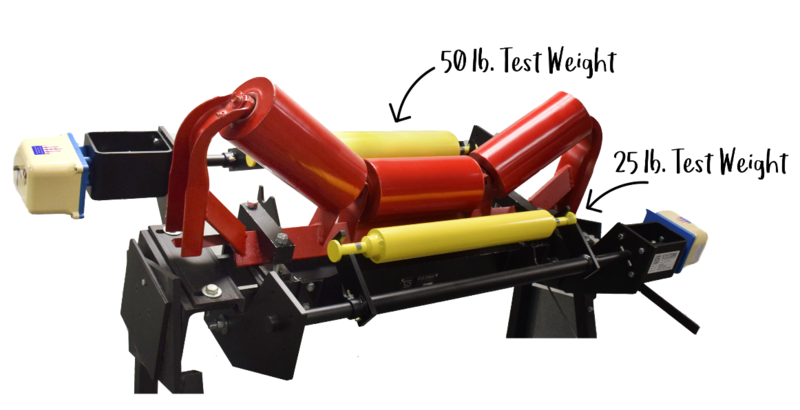 Remotely-controlled test weights are operated from the control room and safer than manual test weights. “There’s no climbing with awkward weights; no sliding of heavy objects between conveyor frame components,” Duncklee said. Dual test weights, comprised of two different-sized weights, allow for three loading conditions—A, B, and A+B. This tests a wide range of the load cell and can be used to help prove linearity of the weigh bridge. For more information, contact SYSTEMS Equipment at (563) 568-6387.